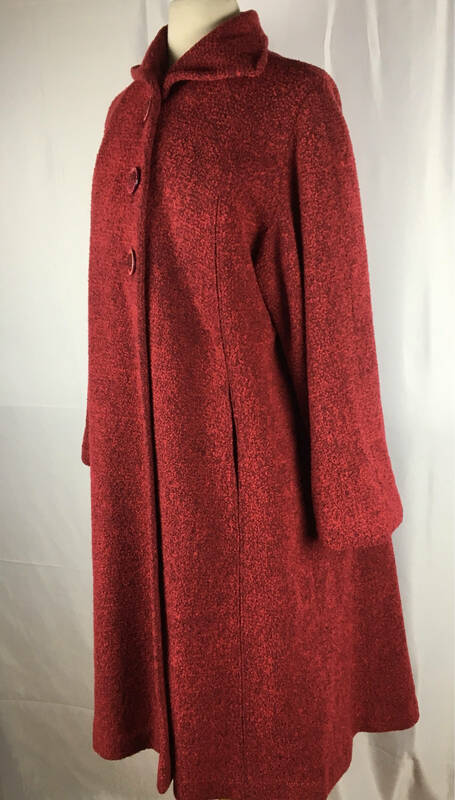 Who doesn’t love a red coat?! 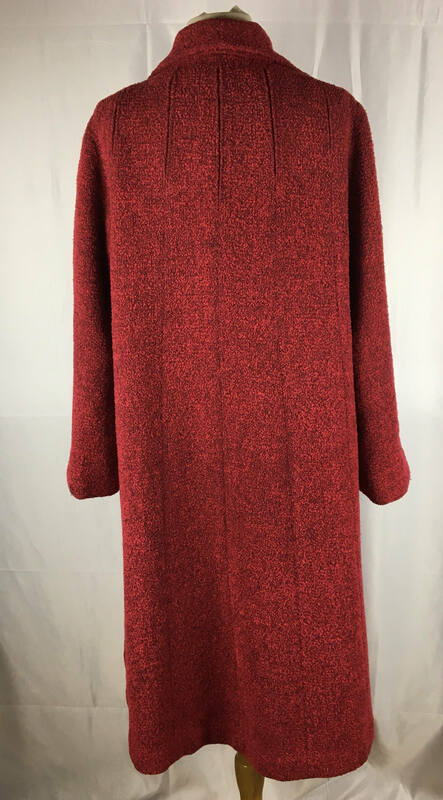 This one is red Boucle swing coat with an undertone of black - perfect for the cold weather! This beauty has a narrow collar, concealed pockets set in seams, and has 3 hideously cute buttons. 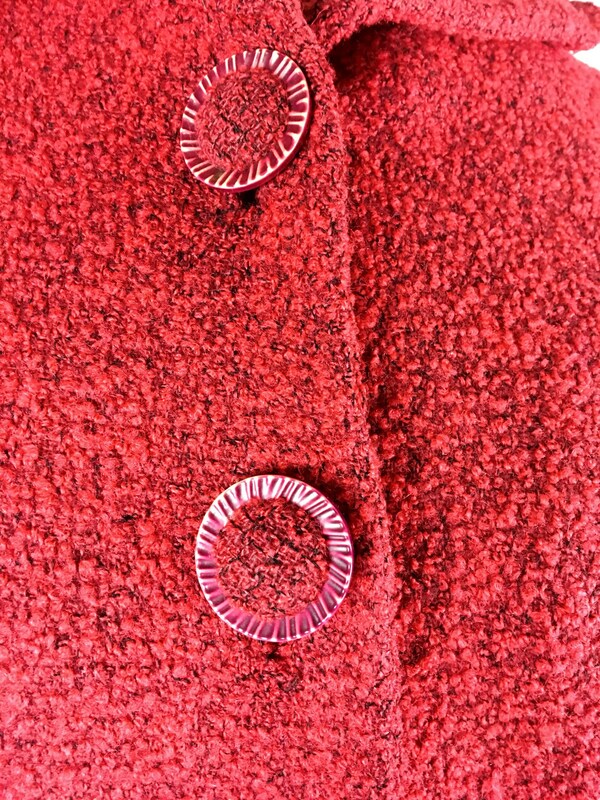 The buttons look like some sort of plastic with red matching fabric in the center. 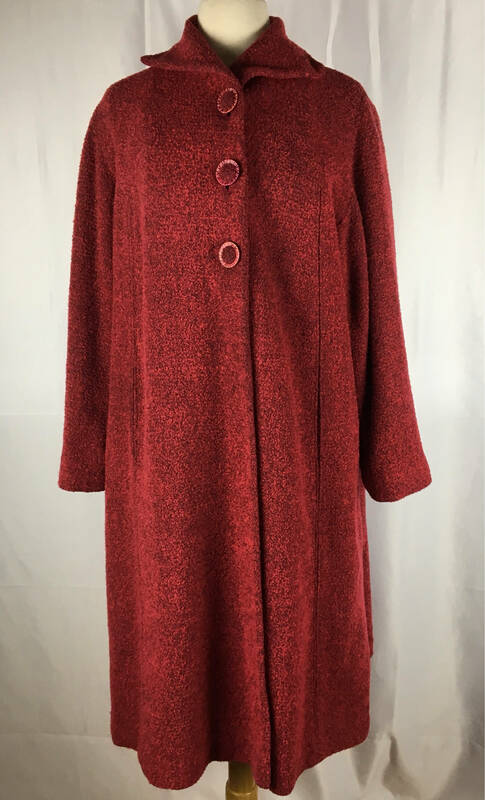 The coat is lined in some sort of poly rayon with a reddish orange sheen. 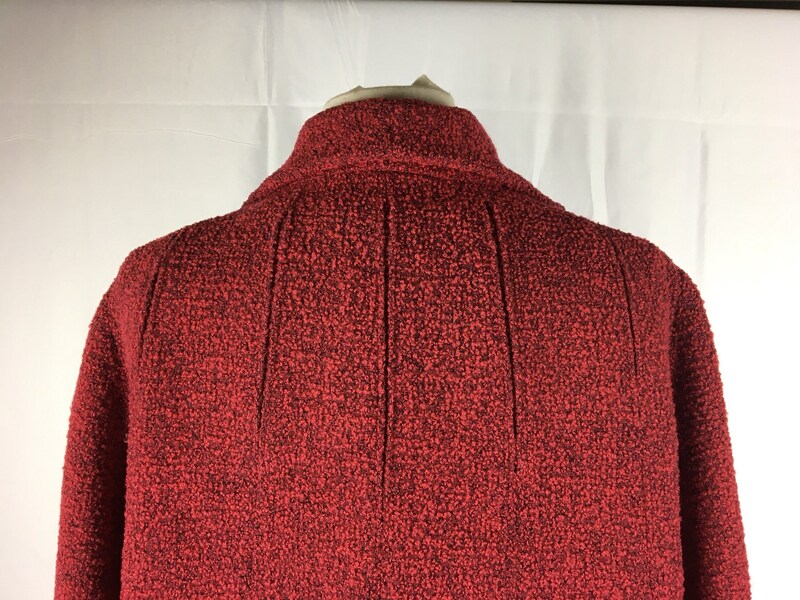 The back has three darts and a subtle v-shape dart with seams running down either side of the length of the coat on either side. I tried to take a picture but it is so subtle it doesn’t show on the picture. The sleeves are full length. 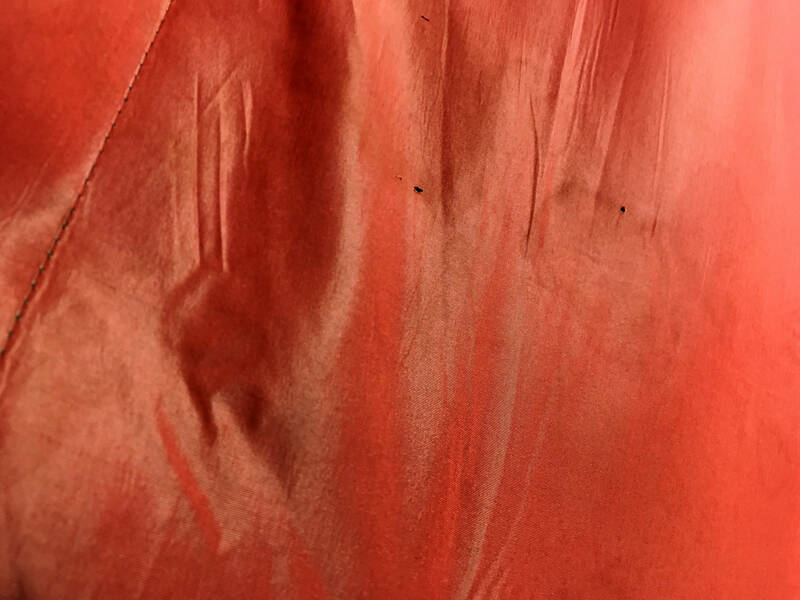 CONDITION: The outside of the coat is in perfect condition. No fading, pulling, tears, stains or smells. The pockets have no holes. As pictured above, the lining looks like someone spilled coffee on a 15” x 2.5” area. In that same area I see 4 tiny pin holes. I am rating this jacket as being in EXCELLENT MINUS CONDITION.